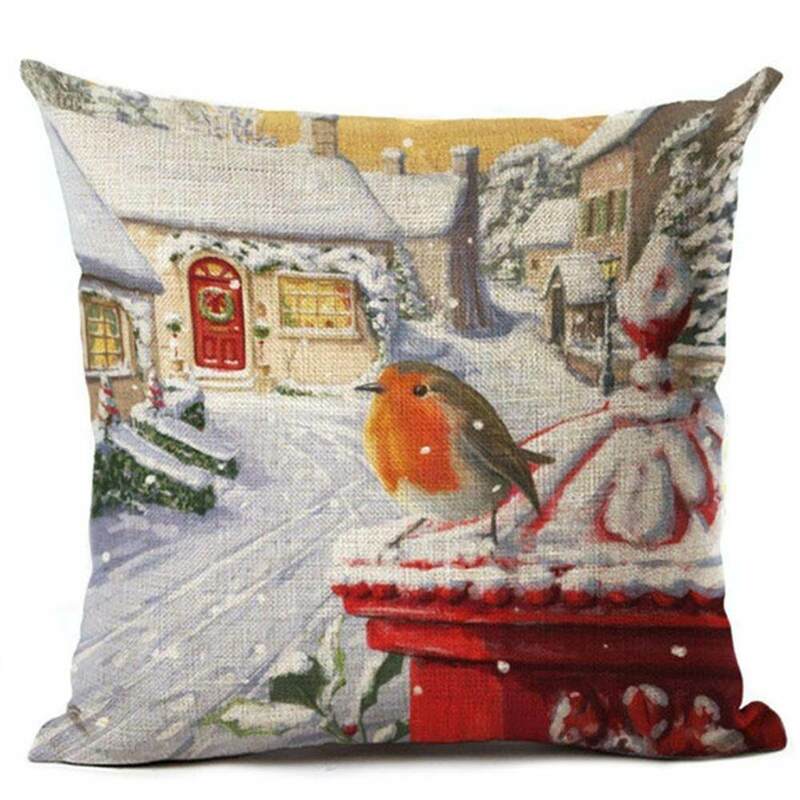 Description: Product category: pillow cover Size: 45 x45cm Filling: No inner Material: Linen Product packaging: OPP packaging Applicable scene: sofa, chair, car decoration, office, hotel, coffee decoration. Packing list: 1*pillow cover (without pillow) The colors deviation might differ due to different monitor settings, please kindly understand. Please tell us first when you have any problem, we will give you the best service and solve the problem ASAP. Thank you so much. — Environmentally friendly material, thick fabric, breathable and long-lasting. — Christmas snow series pattern, simple and elegant, will make a festive atmosphere. — Perfect for home, sofa, chair, car, office, hotel decoration, etc. — Every detail during the producing process is seriously taken to ensure every product exquisite.